From the month of January until the month of November 2012, the Experian Marketing Services has announced that Facebook reined the list of the top searched terms. For the fourth consecutive year, Facebook topped the list of all the searched items in over 60 different search engines. In addition to that, the Experian Marketing services also stated that Facebook is also the most visited website of the year 2012. For many businesses, this information is very important because this will help them rethink their strategies for the year 2013. Since the New Year is fast approaching and new marketing techniques need to be applied on the first quarter of the year, here are what businesses and companies should consider when working around this Facebook trend. Being the most visited and most searched site for several years now, Facebook has proven its importance in marketing and business. Companies need to realize that in order to engage more with their customers and find new target niches, they need to set up their own pages in this website. 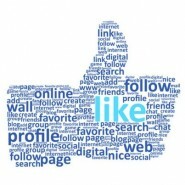 According to statistics, companies have actually realized the potential of Facebook in their strategies. In fact, the number of companies and businesses that have created their own accounts in this social networking site had increased by 8 percent compared to the past year. When setting up a Facebook page, do not just write details of your brand and post pictures of your products and services. You also need to post different random photos that can engage and spark interest with your consumers. Based on the results of a survey where Facebook users who follow brands and companies were asked, their main reason for following companies in social networking sites is to find out what’s new about your brand and what products you will be featuring. But coming in a close second place for the reason why they follow brands is because they want an avenue where they can contact your company easily and get a prompt reply as well. Through social media, customers can get a better shopping experience with your company. Once a Facebook profile has already been set up and all photos or images of products are in place, you should never leave your account unattended. Updating the fanpage is necessary to keep your customers engaged. There will definitely be a lot of comments and messages asking about your products so you always have to be ready to respond to them.